I’m a jewelry artist, MFA in Applied Arts and Crafts at HDK in Gothenburg, Sweden. At first I wanted to be a painter, but after testing jewelrymaking and silversmithing I knew that metalsmithing was what I wanted to do. 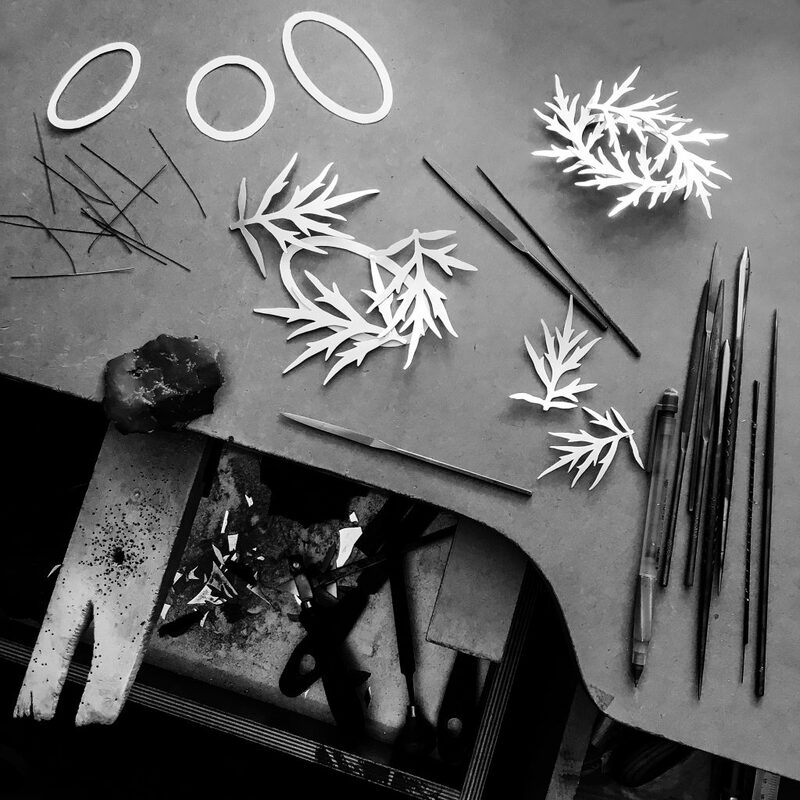 I make jewelry inspired by shapes, structures and repetitive patterns found in nature. They are all made by hand from various materials depending on expression and function. I see my jewelry as artwork that you can wear. It’s important that the jewelry can function both on its own and on the body. I make the jewelry in my studio in Skärhamn, Sweden and sell it at Konsthantverkarna in Stockholm, Sintra in Gothenburg, Galleri 31 in Skärhamn and in exhibitions.